Konect Electrical Services Ltd is a leading Excell Accredited UK structured cabling specialist company, having carried out numerous installations both locally and nationally to Category 5E and Category 6 and Category 6A standard. Our cabling solutions support both voice or data applications and are designed to cater for your companies future network infrastructure requirements. 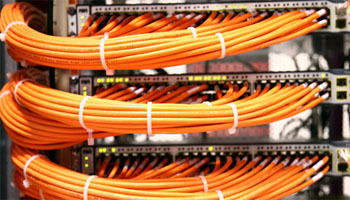 With our structured cabling installations, we marry exceptional cost to exceptional performance. Category 5E and Category 6 structured cabling supports speeds of up to 1 Gbps and is very cost effective when flood wiring premises for both data and voice. Whilst Category 6A structured cabling support transfer speeds of 10 Gbps. As authorised installers of Excel products our systems carry a manufacturers’ 25 year performance warranty. How about that for confidence? 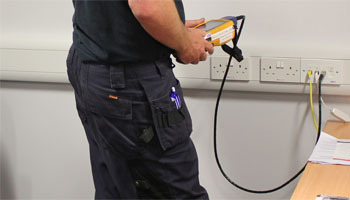 Konect Electrical Services Ltd is a leading UK structured cabling specialist company covering the United Kingdom, having carried out numerous installations both locally and nationally our cabling solutions support both voice or data applications and are designed to cater for your companies future network infrastructure requirements. Our Project managers will visit your site, carry out a detailed survey and provide you with a proposal based on your requirements. This will include cabinet specification, cable types, links to telephone systems, interbuilding links and any containment requirements. 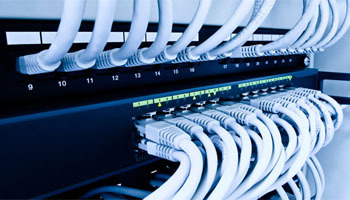 Konect Electrical provide structured cabling services to both SME and Corporate organisations. We employ trained, qualified and highly experienced network cabling design consultants, project managers and data cabling installation engineers.